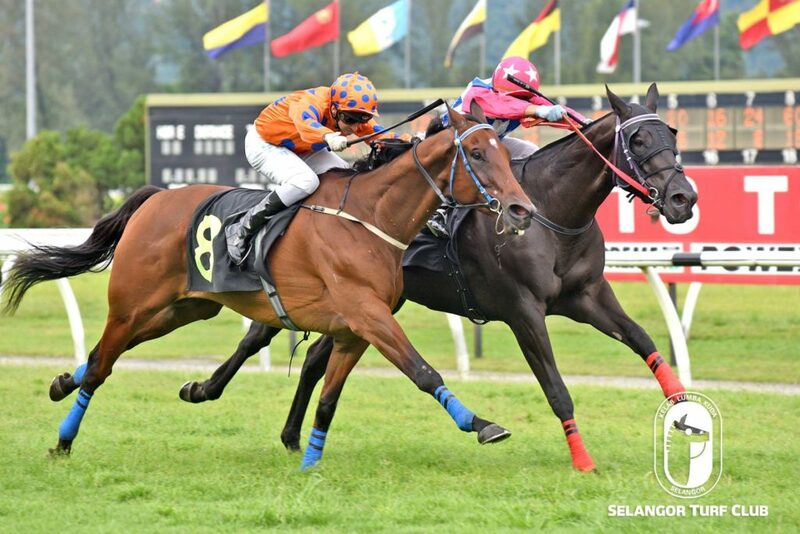 Leading trainer Richard Lines’s Mr Connery, looked a picture of fitness in a workout at Selangor Turf Club today (Thursday). Taken out by a track rider, the six-year-old by Mr Nancho cantered the first lap and then held on a very tight rein to do pace work looking very well. Last outing, Mr Connery shared third spot with Born To Fighter which was won by Elegent in a Class 5 event over 1600m last month. Mr Connery will be ridden by Jose De Souza and is seen with the chance to win in Race 3 on Saturday. RACE 2: Acpenser cantered two rounds. RACE 4: Trumps Up trotted two rounds. Trainer Tan Soo Beng’s Star Strike, was the star performer on the track when strode out smartly in a workout. Taken out by jockey Y Aify, the six-year-old by Sakhee’s Secret, cantered the first lap and then reeled off a good turn of speed over 600m in 38.8 seconds finishing well beyond the back straight. Last outing, Star Strike came with a gallant performance when finished second to Lincoln’s Excuse over 1400m at this course in April. Having trained on very well, Star Strike is seen with a chance to greet the judges this time out with Apprentice J Mallyon on board in Race 3 on Sunday. RACE 1: Fledgeling (SU Lim) cantered one round then did pace work. RACE 11: Ghost Affair cantered two rounds. The going was yielding: All workouts were done on the sand track.